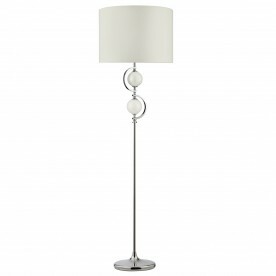 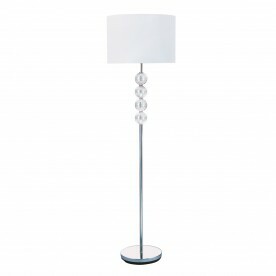 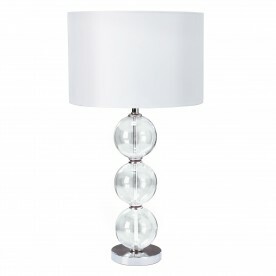 This Chrome Floor Lamp with Cream Glass Balls and Drum Shade is modern and stylish. 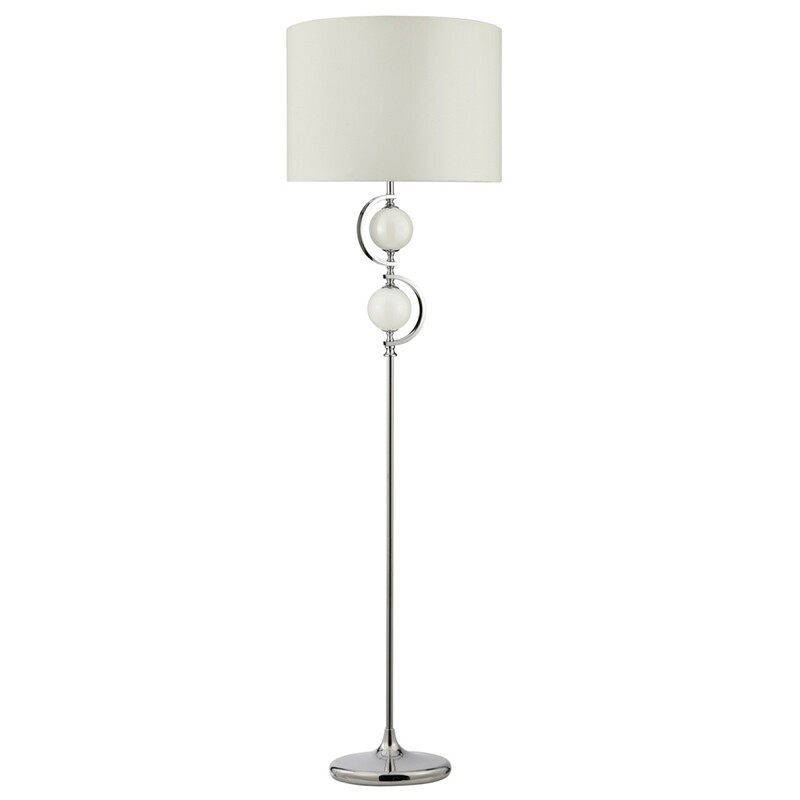 The tall chrome finish stand features two cream glass balls and curved metal decor at the top, leading up to a wide white fabric drum shade. 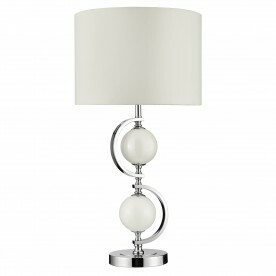 It looks luxurious in any contemporary bedroom, living room or dining room.